You are here: Home / Local Love / Shop Edmonton, a Cake Club, and a Giveaway! Shop Edmonton, a Cake Club, and a Giveaway! To enter: tell me why you want to win (in the comments section below)! The winner will be announced on next Friday’s Local Love List. Edmonton Made: I’m so in love with this I don’t know quite how to contain myself. 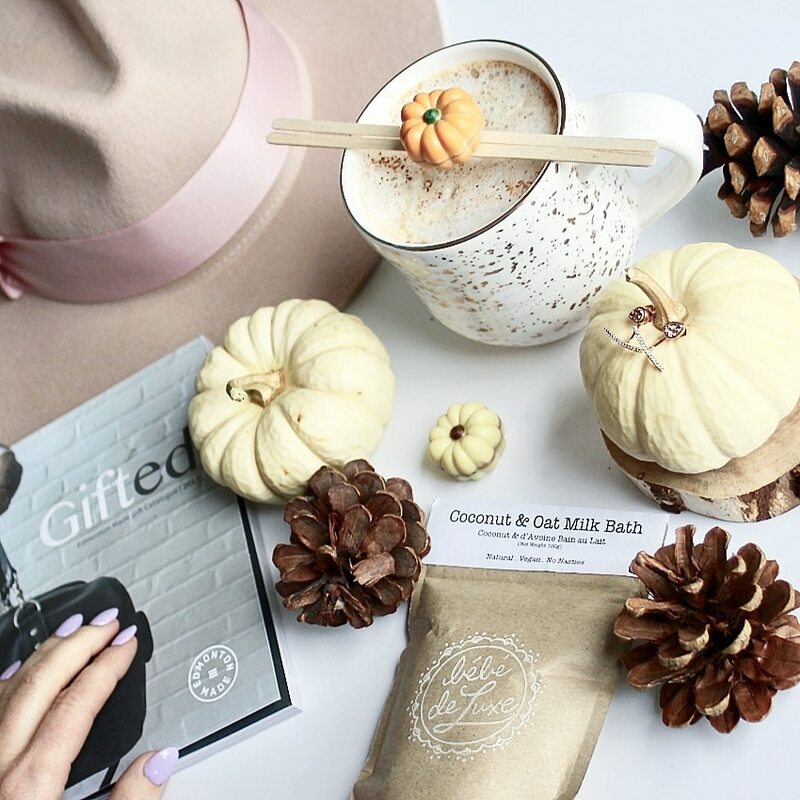 I got my hands on the first edition of ‘Gifted’- a brand new catalogue showcasing only Edmonton-made products, making it easier for all of us to shop local! To read the online version of the catalogue and learn more (because there is a lot to learn) about this new initiative, click here. You can pick up a hard copy at Tix on the Square, Alberta Craft Council or City Market Downtown. Hello Fresh: Don’t forget to use my code if you’re trying out HelloFresh for the first time. Our first box was a hit. The meals are delicious and perfectly portioned. Shop HelloFresh.ca and use the code ‘Kari40’ for 40% off your first box. Let me know how you like it! 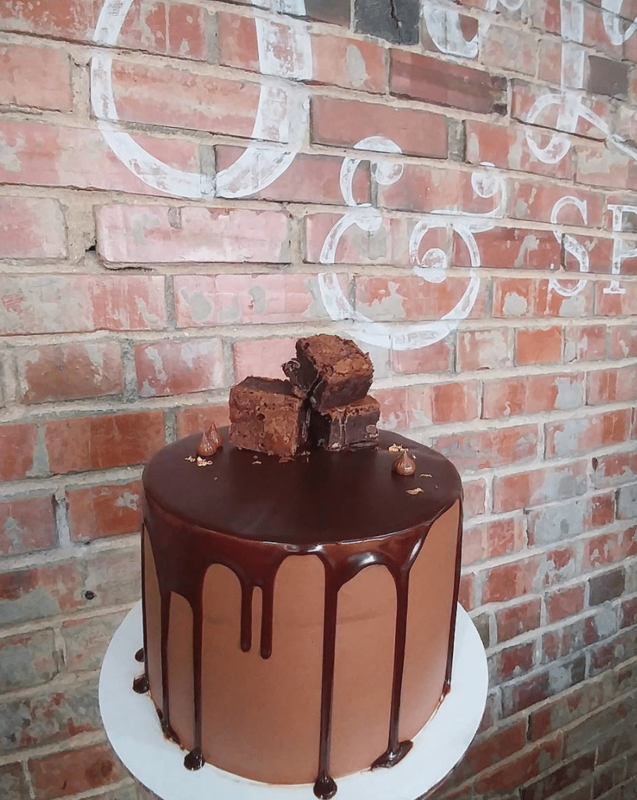 Delicious Treats: I can’t believe I forgot to post about this earlier – Sugared and Spiced, an adorable, totally Instagrammable bakery and ‘Cake Club’ is now open on Whyte Ave! Amy Nachtigall is the master baker (she’s been an order-only business for a few years). Congrats on the new shop…we’ll be in soon! 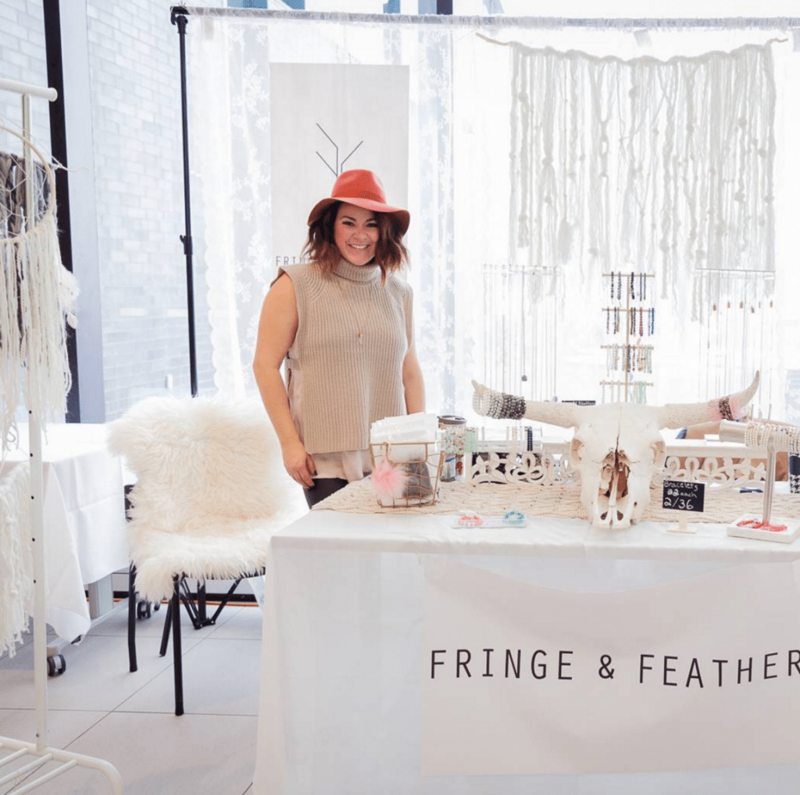 Unique Market: Nest in the City Market goes this Sunday, October 15 at the Royal Glenora from 10-4pm. The vendor line-up is top-notch. Everything from handmade toys, clothes for you and the kids, blankets, bedding, modern housewares, and more. I’ve been to this one before, and I promise you won’t be disappointed. Christmas Cards: I know, Halloween hasn’t even happened yet, but we’re going to talk Christmas. I’m still a fan of sending Christmas cards, so naturally, I love this: Creation Space is hosting a family workshop where you create five homemade block-printed Christmas cards. The workshop is $30 and runs on October 28 from 1-2:30pm. Sign up here. Photos with Santa: Yep. More Christmas talk. Beloved Edmonton photographer Blake Loates has opened up appointment booking on her website for her Modern Santa Mini photo sessions on November 11&12. It’s $50 for 20 minutes and you leave with one high-res image. If you bring a donation for YESS, you get two more files. Pets are welcome. Book your spot here. Pixar Exhibit: This would be really neat to check out. The Science Behind Pixar Exhibition is currently on at Telus World of Science. It’s a unique look at the Pixar process, including over 40 interactive elements involving science, technology, engineering, and math. Tickets here. So much great information here! Hard to decide what and where to go first!! Oh yum! We need to try Sugared and Spice when we come to Edmonton for sure. I like making my own Christmas cards so I sure hope you are going to post some of the ones you are making at Creation Space! I am a fan of HGTV & love Kortney & Dave’s dynamics on “Masters of Flip.” Kortney has unique decorating ideas & I love Dave’s supportive nature in always agreeing with what she does! Her use of colour enhances the final result of the renovation. Love masters of flip and need some new Reno ideas!!! !